During a recent installation of a large off-grid capable solar and battery system, I took my camera along and recorded progress, as this video shows. 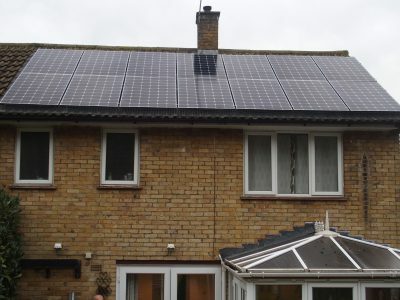 The installed panels are LG 365W panels so this gives a total of 5.1 kWp. Notice the moment when the anti-pigeon netting is installed around the panels.